Wondering where those clicks went? In CAKE, we have a specific redirect strategy in place. Use this guide to troubleshoot where your clicks are going. Click on your main Reports tab > Clicks/Conversions subtab to expand > then select the Clicks subtab to access the Click Report. When a click is redirected, the Click Report is always the first place to look to begin the troubleshooting process as it houses 30 separate data points about every click tracked in CAKE. How do I use it to troubleshoot clicks? Find your click by searching for your IP (this is the best way) or by using the filters to narrow the clicks down to whatever you're testing. The Disposition column shows you exactly why a click was redirected and where. The CAKE Dispositions document provides a description about what each disposition means and what you'll need to look for when troubleshooting. Hint: The creative ID is always the creative you originally clicked on, NOT the creative you were redirected to. 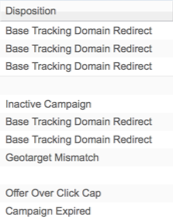 So what if CAKE tracked the click but not the conversion? How do I go about figuring out what went wrong? First, what type of pixel are you using? If its an HTML pixel then there are a bunch of tools that you can use to troubleshoot those. 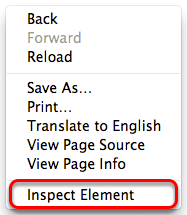 Almost every browser has an "inspect element" tool built-in. You can access it by right-clicking in the browser and finding "inspect element". Within the code or HTTP headers you can look for your tracking domain or the snipped "p.ashx" which is included in all conversion and event pixel URL's. There are also third party tools that allow you to do similar things. 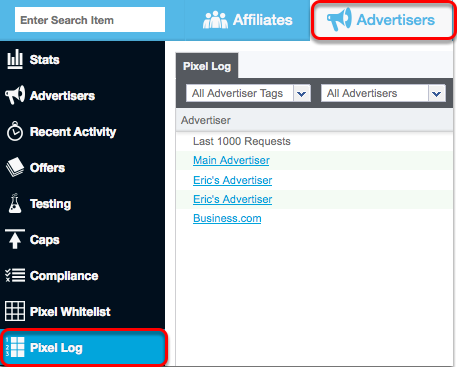 Once you're in the Pixel Log you can filter a specific Offer or, if you're using a Global Advertiser pixel - you can filter for that specific Advertiser. Then look to see whether you received a Attempted pixel fire for that Offer or Advertiser. Click on the hyperlinked Attempted number to drill into those attempts. If your Advertiser is passing transaction IDs, you will be able to identify specific attempts by that value in the URL string listed in the log. When you find your pixel attempt - then you can see whether its malformed, or the pixel log will give you a disposition. The CAKE dispositions document will provide you with descriptions of pixel log dispositions. The one caveat is that CAKE only holds this data for 30 days. You can also find this specific information on the Conversion Card > Pixel Log for a specific conversion. What about my Affiliate's or third party pixels? iFrame: The iFrame Conversion Pixel is our recommended HTML pixel for the reason that it can piggyback any type of third party or Affiliate pixel and has an easier implementation than others as it can be placed directly on the confirmation page. Image: The Image Pixel is never recommended unless the Advertiser only supports Image Pixels. This type of pixel has has no built-in piggybacking capabilities and should only be used as a last resort. Postback URL: Also known as a Server Pixel, postbacks require a value generated by CAKE called a Request ID to be sent to the Advertiser, and passed back to CAKE in the pixel. CAKE auto-generates the Request ID value by using the token #reqid# in the Offer link. When the redirect occurs, it will be replaced by a numeric value which will need to be passed back to CAKE in order for us to reference the original click and connect the click to the conversion in the absence of browser cookies. Postback URL's can ONLY piggyback other postbacks so your Affiliates (and other third parties) must be capable of using postback/server pixels as well. Can I see my Affiliate pixel the same way I saw mine? With HTML pixels you can see your Affiliate's pixel sub-embedded within yours so, if you expand your pixel you should see something along the lines of the image above. And if its a postback? CAKE has the postback log to help you troubleshoot Affiliate or 3rd party postbacks. The Postback Log contains outgoing postbacks sent by CAKE for a particular conversion. To access the postback log open the Conversion card or Lead card and select the Postback Log tab.